Autumn begins again, I suppose, and thus do I. Though why I'm feeling such peer pressure to say it was several days ago this Halimath by Old Shire Reckoning, I have no idea, but perhaps I should think more about our traditions in the Shire. 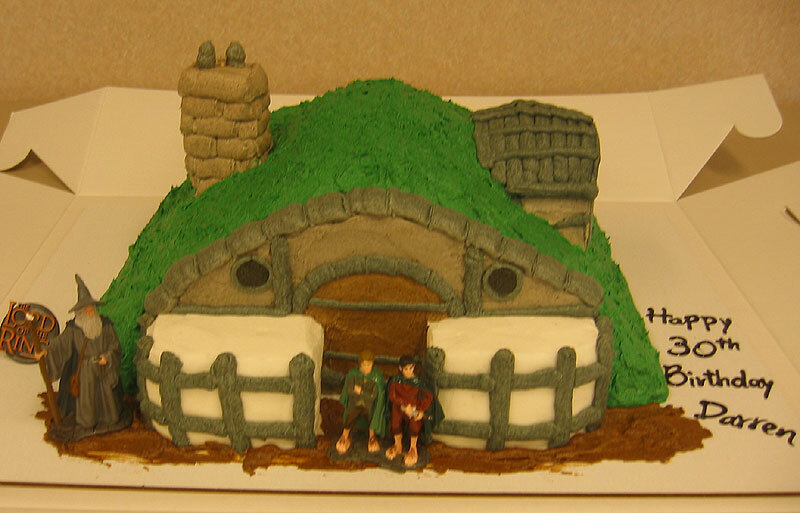 In any event, since I haven't seen Uncle Bilbo in ages, or any one of the pack of Frodos Frodo for awhile, I thought it might be best to keep my celebration here low key. It's amazing to think that this has been my fourth birthday to roll around again since I came back to the Shire. And when I awoke this morning, what should I find slipped under my door, but a card from Melbie and Celly, one sent from Gary, Bery, and Plado, and one from Folly. Quite a nice greeting that was. Now I have pictures of mathoms for whoever comes by. I know Elanorelle and Uncle Sennie will be getting back sometime today. And there's plenty of cake, while I'll be preparing mushroom dishes all day long. So . . . I know there are three muns at least who keep up with my dull ramblings, besides my mun, who always has the most embarrassing things to say about me.when have I ever "thrown" things out of her cabinets! "Taken" them, maybe . . . Hence, if you are one of my readers, please don't be shy about joining us hobbits--I'm rather curious to see if there's anyone else out there wasting taking time to keep up with me. Do come by to claim a mathom and a piece of cake and say hello.